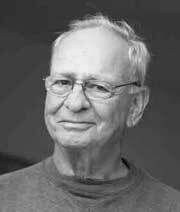 Paul Kay received a BA in economics from Tulane University in 1955 and a doctorate in social anthropology from Harvard University in 1963. After a year's postdoctoral research at Stanford University sponsored by the Social Science Research Council, a year's teaching at the Massachusetts Institute of Technology, and a year's fellowship at the Center for Advanced Study in the Behavioral Sciences, he joined the Berkeley Anthropology Department in 1966, where he remained until moving to the Department of Linguistics in 1982. Kay retired from teaching in 1995. He joined ICSI as a senior research scientist in 2003 and has served as a consulting professor in linguistics at Stanford University since 2011. Kay is a co-author of the book Basic Color Terms (1969), author of Words and the Grammar of Context (1997), and co-author of The World Color Survey (2009). His research has covered many topics in linguistics and linguistic anthropology, including semantics, syntax, pragmatics, sociolinguistics, variation theory, and the relation of color naming to color perception. Particular areas of current interest include cross-language color naming and color perception, the encoding of contextual relations in grammar, and the development of constructional approaches to grammar. Visit Paul Kay's Web site.